Greetings, remember me? I’m the guy who found new ways to occupy his time. Since this is the first new post in… well, geeze, I should have waited a month for the 1 year anniversary, but hey, no one ever said I had any sense of timing. Ahem, anyway, lo these 11 months later, I come baring… not much at all. I had some ideas on how to expand the wheelhouse a bit, as both Flickr and TCM were kinda drying up. This sort of post (except this meandering paragraph, of course) was one of them. This is purely a mental exercise where certain minor inconveniences like “reality” are not taken into consideration. The gloves are off (though usually it’s best they stay on, for the record, opera-length, preferably), anyone is fair game to populate this little imaginary film. The idea is to come up with the best fur movie of the 30’s, with all this site’s favorites tossed into the same film with very flimsy excuses why the costume designer could… indulge. Ruby Richmond, the nation’s biggest star, just opened The Arctic Lounge. It quickly becomes the hottest new burlesque club in Chicago. She got the property from a very nervous seller, and she quickly discovers why. The hottest new burlesque club in Chicago happens to be located on the border of two of Chicago’s biggest rival mobs. Ruby has to use all the tricks in the book to keep her new club independent from two very determined mob bosses. The Arctic Lounge is an upscale burlesque club with a chilly theme. 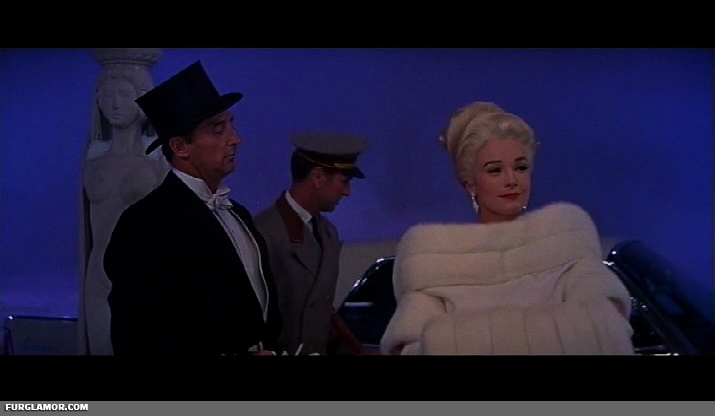 As the sign outside warns: “The Temperatures are Low Everywhere But On-Stage!” Patrons are urged to dress accordingly. 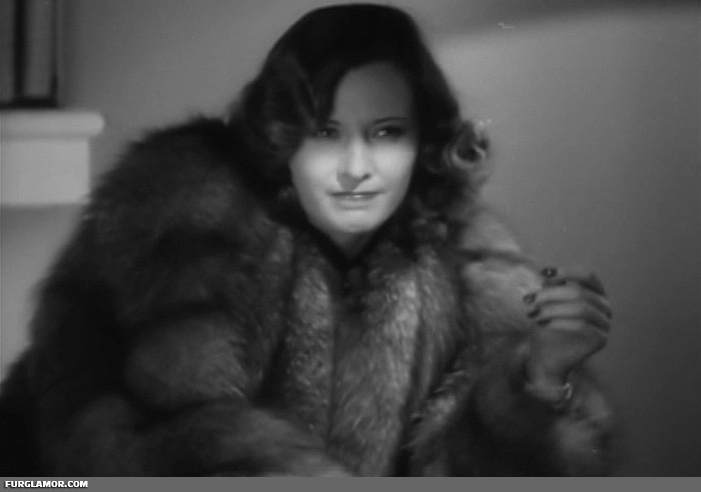 Barbara Stanwyck as Ruby Richmond. Let’s just say type casting happens for a reason. 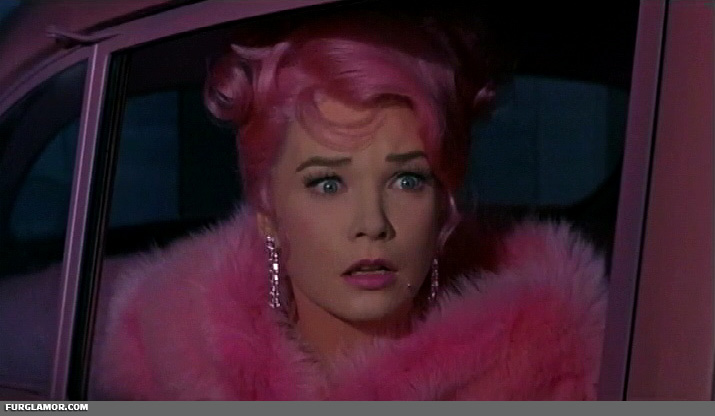 Ruby worked in burlesque before making in big as Tinsel Town’s hottest new star. 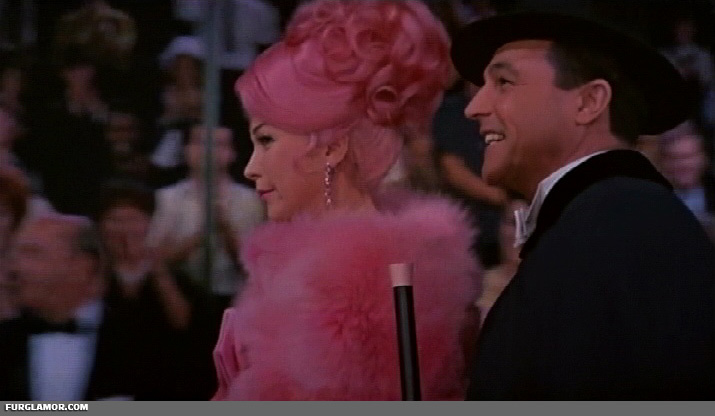 She wants to cultivate a high class burlesque with her new establishment. She’s tough-as-nails and doesn’t take kindly to anyone trying to muscle-in on her club. 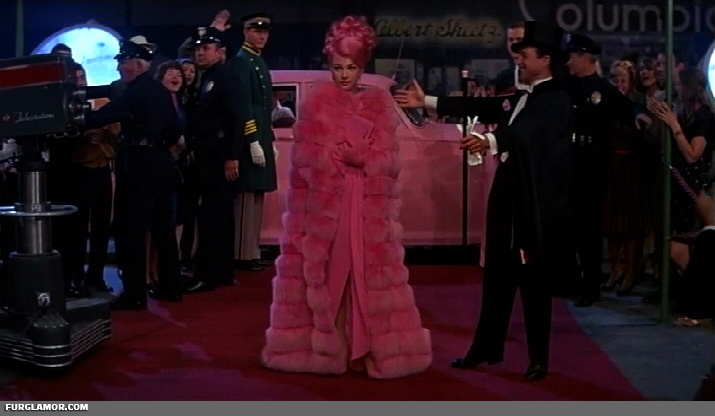 Ruby is a famous fashionista who is rarely seen in anything other than some large fox fur. 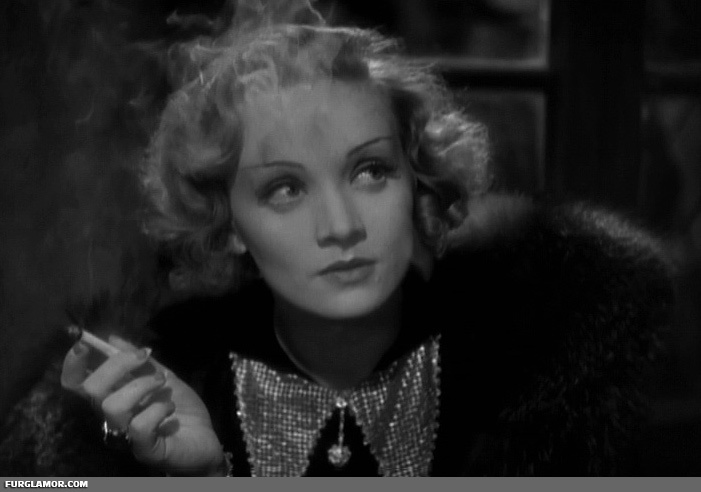 Marlene Dietrich as Karla Kristoph, leader of the German mob into whose territory Ivana is encroaching. The Arctic Lounge becomes the line she draws in the proverbial sand. Old school but cunning, she realizes she may have to adapt the old ways to win. Karla is every bit the Hollywood fashionista, and a particular fan of Ruby and her famous fox wardrobe, which she models herself on. Her love of Ruby’s work may be the key to her success or the Achilles heel of her plan. 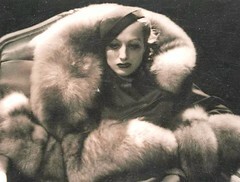 Joan Crawford as Jenny Johnson, a new dancing hire at The Arctic Lounge. 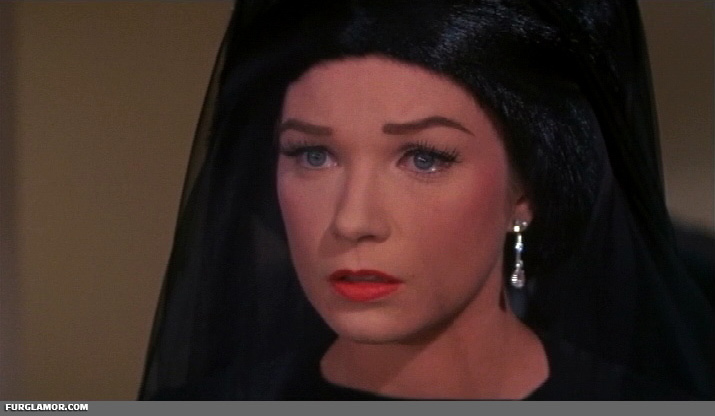 She becomes a pawn in the rival mob’s attempts to gain control…. And does burlesque numbers in big fox outfits. Hedy Lamarr as Vanessa Van Pelt, seinor dancer who takes Jenny under her wing, but is really a plant for Karla’s gang…. And does burlesque numbers in big fox outfits. Anna May Wong as Machinegun Mai. Gangsters need gun molls, and Mai is Karla’s top enforcer, and dresses according to her whims. Carole Lombard as The Blonde. Ivana’s enforcer from the old country, skilled in most forms of violence and intimation, sharing her affinity for the big fox coats of home. Kay Francis as Police Commissioner Mary Masterson. Caught between allowing the gangs free reign over the city and knowing things will be more peaceful when one side “wins”, the wealthy heiress turned policewoman tries to do what’s best, all while suffering from her recent divorce (need to have a divorce, it’s a rule for a great fur film). Lucile Ball as Betty Blaze, the Arctic Lounge’s famous burlesque guest star whose kidnapping from the club kicks off the big finale…. 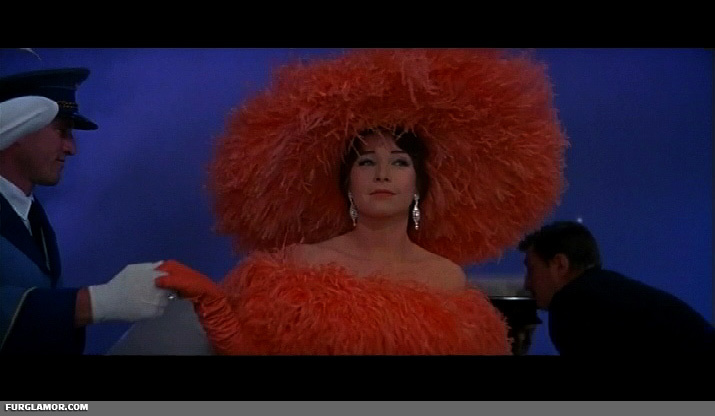 And does burlesque numbers in big fox outfits. After numerous failed plots, Karla and Mai kidnaps Betty Blaze while on stage, forcing Ruby and (her biggest fan) Karla to team up and get her back. They succeed, and Karla and Ivana agree to leave The Arctic Lounge as “neutral territory” in their conflict, securing the future of the club. That’s it, the best fur film of the 30’s that was never made and never could be. Was it comedy? A drama? It’s whatever you thought it was. I think it could take a run at unseating The Mad Miss Manton. If anyone has ideas for improvement, feel free to post them in the comments. I might try to come up with a version for the 80’s, at least, and maybe the 70’s, but there’s a lot of crossover there. This one is kind of “famous,” in so far as I recall seeing it quite a bit. 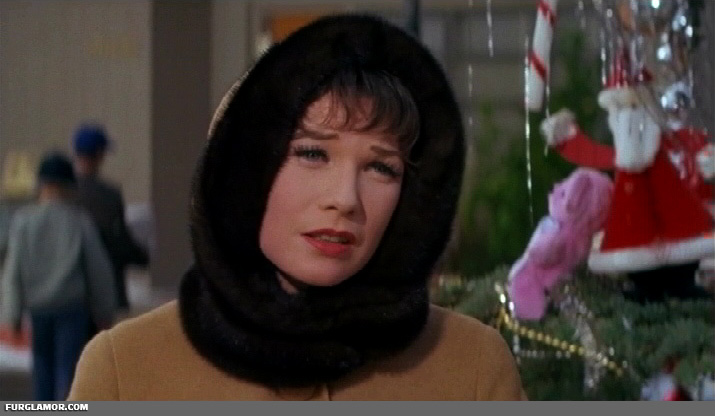 For good reason, a classic photo of a classic star in a classic fur. 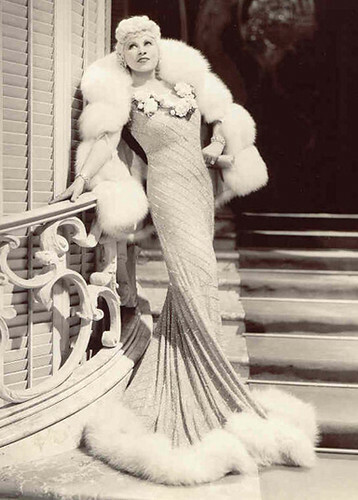 Mae West had a knack for wearing the big furs, the kind that perfectly fit a lady accustomed to being the center of attention. 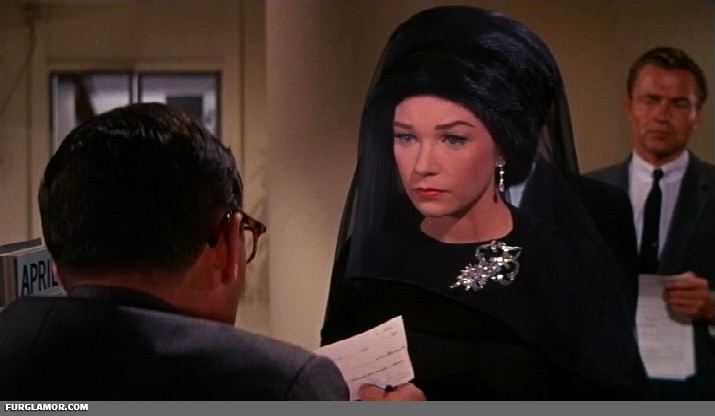 I’ve got one of her films posted, the aptly titled I’m No Angel. There some choice furs in a few others, though sometimes all too briefly. 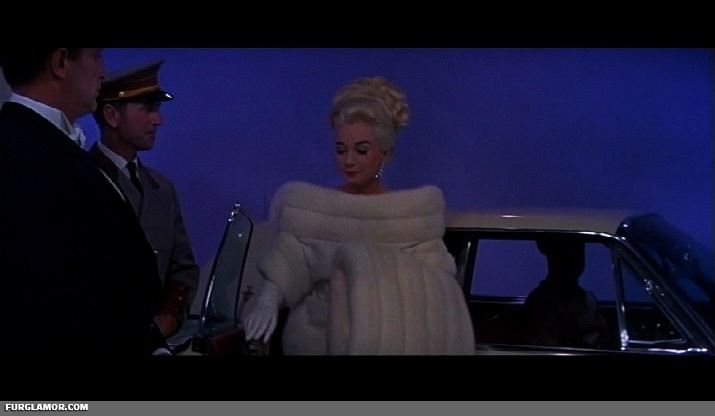 Marilyn in the best thing you can get out of the 1950s… a large fox stole. 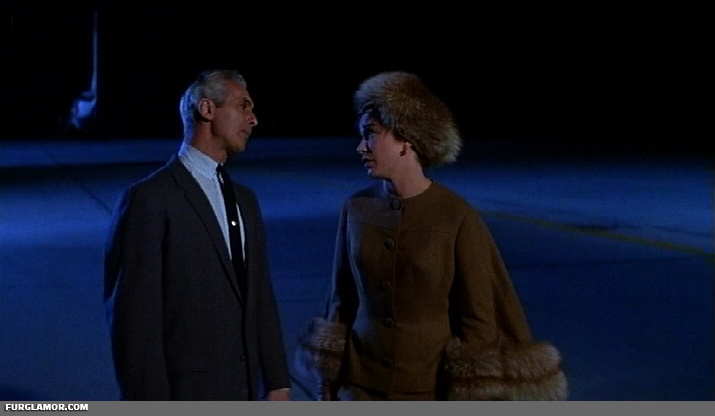 This is from 1953’s Gentlemen Prefer Blondes, a film with a least one decent fox in it. I have a really old, very bad set of captures from it, stuff that I won’t post on here. 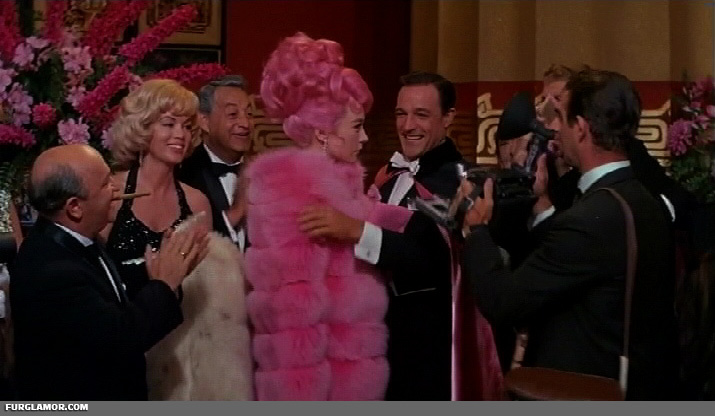 For more 50s stole and wraps, check out Let’s Do It Again, Silk Stockings, and Singing in the Rain. Here’s another from last week’s Flickr stream-of-the-week. 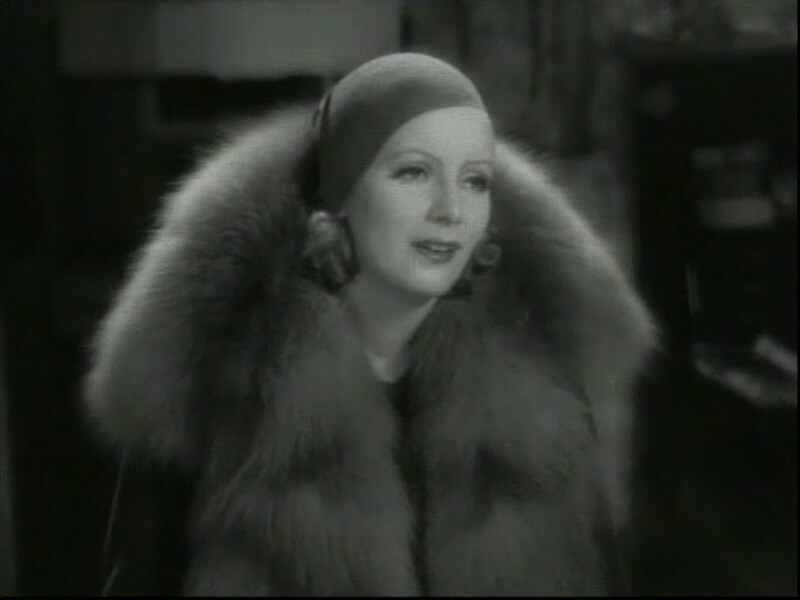 A rarer gem, the fur from the 1932 film The Match King. I included it in an “omnibus” update, because it was really the only decent fur in the film, but quite the decent fur nonetheless. “Big updates” may be a little further apart than usual. Big season for new video games, will be wasting time elsewhere in the coming months. 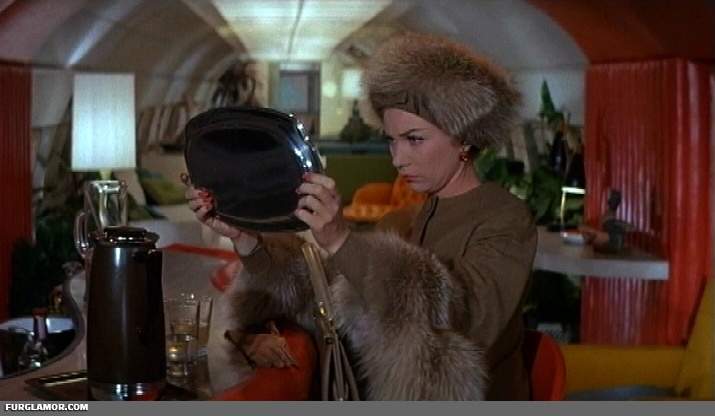 I’m partial to Veronica Lake, but she’s yet another example of someone whose most notable years on film occurred in an era where fur fashion simply wasn’t all that great. That makes it hard to find anything worth posting a full update. It seems she was not without the opportunity to wrap herself in some fox, though, as we can plainly see here. That is a really, really long boa, too. I suppose they could be cheating and there’s two of them, but what’s the fun in thinking that way?